Introducing our project on Myanmar Timber Elephants to the Union Minister for Environmental Conservation and Forestry in Myanmar (April 2012). 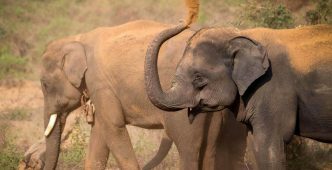 Myanmar has the largest captive Asian elephant population in the world but a mismatch between timber industry needs and the population reproductive rate leads to pressure on wild elephants, and the captive population health is thus tightly linked to the endangered wild populations. Our core aims are to better understand factors affecting fertility and mortality rates in the population and finding ways to improve both. 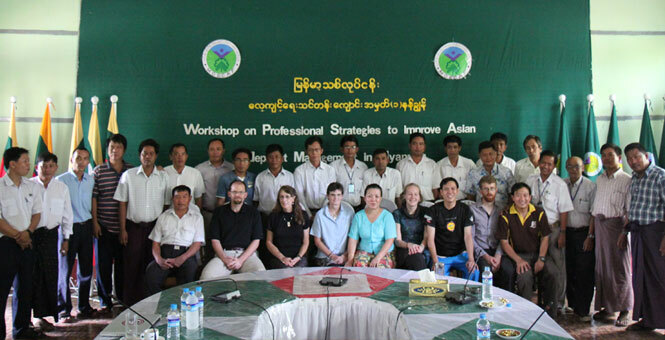 In November 2012, Nando Peretti Foundation support allowed us to arrange a training workshop in Taungoo, Myanmar, titled “Professional Strategies to Improve Asian Elephant Management in Myanmar”. The workshop involved intensive training and exchange of knowledge between a team of international experts and Myanmar Timber Enterprise veterinarians and forest officers, who take charge of the elephant population care and management, using both traditional and the most recent health care techniques and breeding methods. Prof. Chatchote Thitaram from Chiang Mai University, Thailand (green jacket, surrounded! ), Prof. Nikorn Thongtip from Kasetsart University, Thailand (blue trousers), Prof. Janine Brown from the Smithsonian Institute, U.S.A. (second on the right) and Dr. Luis Padilla from St Louis Zoo, U.S.A. (first on the right) engaging with the workshop participants on the use of ultrasound technology in elephant breeding. 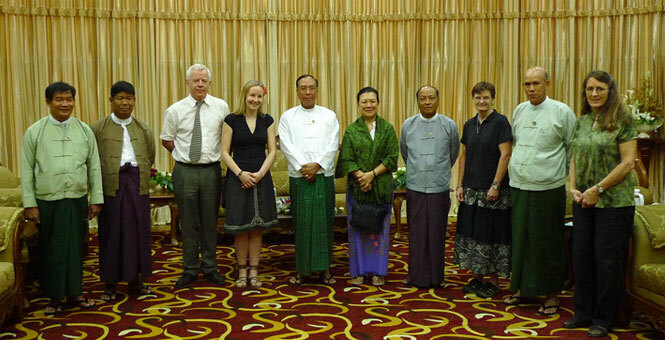 Discussing project goals with the Minister of Livestock and Fisheries in Myanmar, November 2012. Timber elephants and cattle co-forage in forests and may share parasites and disease, and improving elephant healtcare will thus be relevant also for the farming sector. With Prof Susan Mikota (seated, second left), we have tested working elephants for tuberculosis, and continue our efforts to investigate the parasitic fauna and their host-dynamics in detail. Khyne and Virpi donating library materials and equipment to the Veterinary Faculty of the Yezin University, Myanmar 2012. 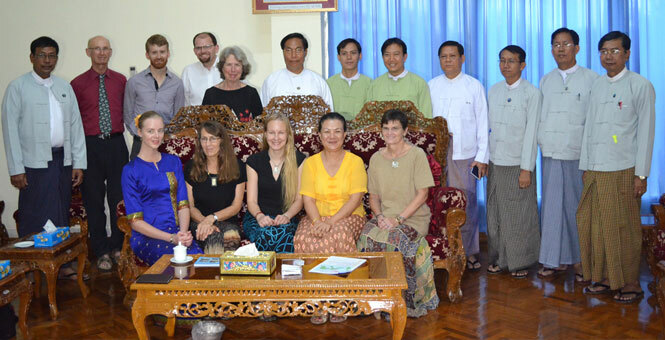 Building and strengthening relationships with Myanmar universities allows knowledge and skills exchange between members of our project and Myanmar faculty and students. It also fosters one of our long-term aims to have Myanmar students participating collaboratively on our elephant projects. 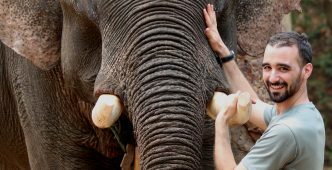 Khyne has worked for decades as consultant veterinarian for captive working elephants in many SE Asian countries, and regularly contributes to improving welfare and management for elephants used in tourism. 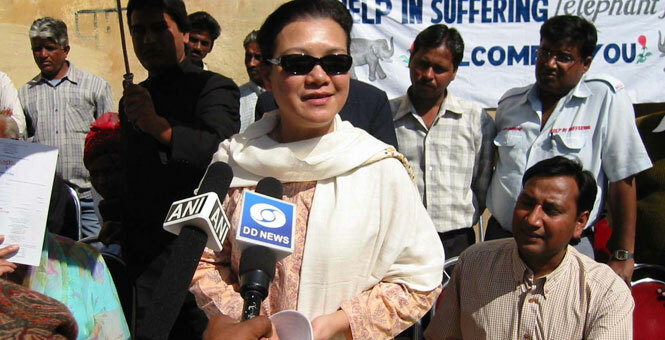 Here she is interviewed in Jaipur, India in 2004 in the ceremony organized by UK-based international conservation charity Elephant Family (www.elephantfamily.org) for donation of mobile clinic to Jaipur-based charity Help in Suffering. 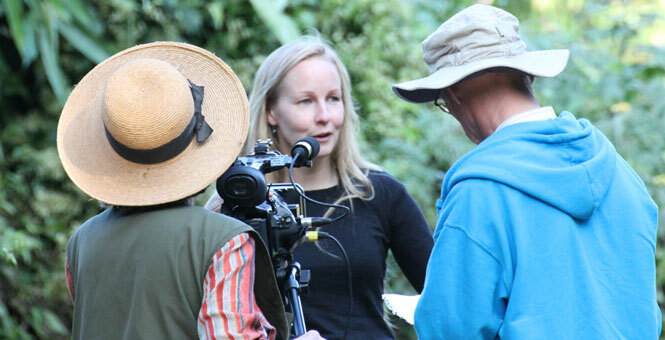 Award-winning British film company “Mostly Movies” interviewing Virpi for their documentary, to be released in 2013, about our Myanmar Timber Elephant Project in Myanmar 2012. 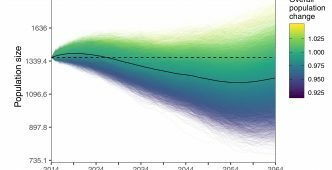 This is exciting, as it will broadcast our project goals and findings to a very wide audience! Khyne giving a speech in Elephant Festival in Kaziranga National Park (World Heritage site) in Assam, India in 2003. Asian elephants have interacted with humans for over 4,000 years. This long and rich relationship has given elephants a unique place in the culture, religion and history of Asia. Protecting elephants means both recognising their value as a flagship species and their long history of living closely with people. Disseminating our project goals and research findings to multiple generations of oozies (keepers) in Myanmar 2012. FAO estimates that 50-60% of the country’s 60 million people depend on forestry for their basic needs, but many oozie families survive on low wages in remote locations and lack access to education. We have set up Myanmar Timber Elephant Foundation to help their situation by providing books, stationery and uniforms for the schoolchildren. Learning field methods in parasite diagnosis with Adam Hayward. Gastrointestinal worms and liver flukes account for 8% of all deaths (n=2,806) among the timber elephants, and are also likely to reduce reproductive success and working ability and contribute to many elephants dying of “weakness” and gastrointestinal problems. Understanding the impact of parasites on health and reproduction will aid development of management and conservational policies. 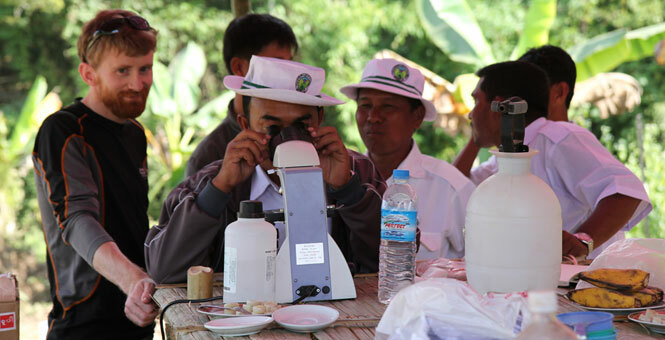 We disseminate knowledge on simple field diagnostics from faecal and blood samples to local veterinarians to promote effective clinical management and to help target treatment to individuals benefitting most. 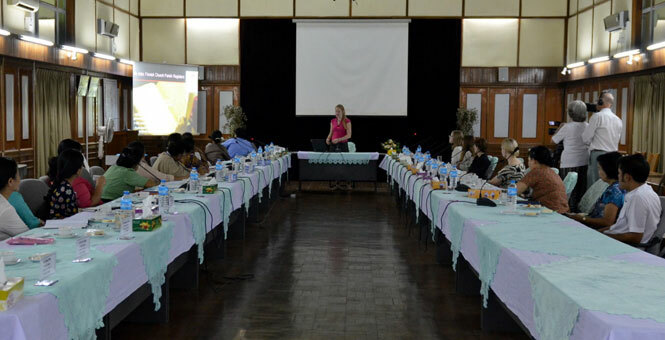 Discussing the aims and achievements of the Myanmar Timber Elephant Project with the Yangon University Faculty and discovering ways to provide Myanmar graduates opportunities for higher education within our project. This is in line with today’s EU Government’s intention to help promote Myanmar’s education sector and also fulfils a recent Myanmar Government’s pledge for international grants, aids and technical expertise to establish a well-educated science and technology sector in the country. Up to a third of timber elephant calves die before age 5. Our research has identified risk factors for calf mortality and allowed focusing more attention to the pregnancy and post-natal care of mothers at increased risk of producing thin calves (left) with higher odds of mortality.